Heavy Duty conveyor pulley Causes and treatment methods for oil leakage of self aligning ball bearing end c-Shandong Xinkaite Bearing Co.,Ltd. 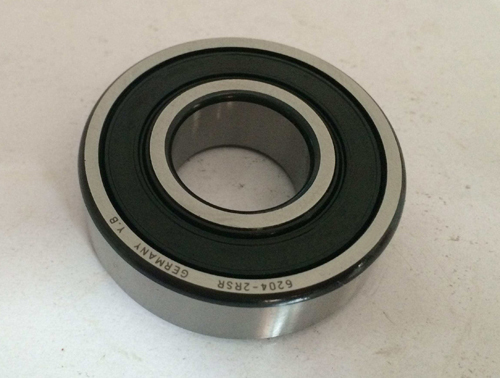 The leaking oil at the end cover of self aligning ball bearing is also a common phenomenon. The cause of oil leakage: most of the reducer used on the crane is ZG series reducer, and most of its end cover is embedded bearing cover. The bearing cover is also divided into the shaft extension end cover and the non shaft extension end cover. For the oil leakage of the non shaft cover, the gap between the end cover and the box is large. For the reason of oil leaking shaft end cover is mainly the end cover and the box with the larger gap, input or output shaft and the end cover seal missing or damaged seals, ventilation plug plug, the oil level is too high. 1, reprocessing the end cover of the non - shaft bearing, so that the clearance of the combination surface of the end cover and the box is less than 0.1mm. Spigot groove installation to hammer tap embedded in a box body is appropriate. Before installation, a uniform sealant is applied to each surface, and the leakage can be prevented effectively after pressing. 2. The shaft extension bearing cover should be in the end Genega sealing element and the oil drainage plate in addition to the first section to ensure the clearance of the joint surface of the end cover and the box. 3, the circumferential speed of the large gear in the crane reducer is not large. Usually, the gear of the big gear is immersed into the oil pool to lubricate, so that when the gear is rotating, the lubricating oil is brought to the meshing gear surface and the oil is thrown onto the box wall. In this way part of the oil flows back to the oil pool, and a part of the oil is leaked through the shaft to the outside of the box. In order to prevent oil leakage, the inner side of the bearing is tightly attached to the box wall, and a drainage plate is added to the shaft. The oil dumped on the drain board is drained into the oil pool in time. 4. The inner hole of the drainage plate and the shaft are in interference with the shaft, so that it is rotated with the shaft. The inner side of the drainage plate is a slope for drainage. The drainage plate is as large as possible in the range of its rotation to allow the least fluid to move into the bearing. In order to stop the leak, felt at the end of Gaineijia sealing ring set. A drainage hole which is connected with the felt groove is provided on the end cover. Even if the oil leaks into the felt ring, it can be drained into the box through a drainage hole under the action of centrifugal force, thus effectively cutting off the leakage channel. 5. In the use of felt ring, the number of felt rings should be more than one. The cross section of the joint should be closely connected, and the surface of the felt ring should be cleaned. The size of the felt and felt grooves is selected from the standard according to the diameter of the shaft. In particular, we should pay attention to the tolerance of the shaft and the inner hole of the felt ring. 6, the reducer is equipped with a ventilator in the structure. However, when working in the field reducer, the air blowhole is blocked, and the leakage is aggravated. When the gearbox works, the temperature inside the box rises, the gas expands and the pressure increases, resulting in the pressure difference between the inside and outside, which leads to the leakage of lubricating oil along the sub box surface and the input and output shaft. Therefore, the opening of the air hole is ensured to balance the pressure inside and outside the reducer, and the leakage can be prevented effectively. 7. The crane reducer is usually used to lubricate the large gear in the oil tank. The depth of gear should not exceed one tooth height, otherwise it will accelerate leakage due to oil stirring and oil temperature rising. In addition, it will also reduce the mechanical efficiency because of the increase of oil resistance. Therefore, the amount of oil must be appropriate, and can not be added, but it must not be added. 8, in field application, it is found that the phenomenon of oil leakage along the input shaft of the reducer is more serious. Besides the influence factors mentioned above, the concentricity of the input shaft and the motor shaft of the reducer is also an important factor affecting the leakage. Because of the indifference, it will cause the beating of the input shaft of the reducer, which makes the circle jump. In this way, the convergent wedge space is formed on the shaft surface and the Tuan Guy Hei Kong surface, and the relative motion between the shaft and the end cap forms the condition of hydrodynamic lubrication. It aggravates the leakage. Therefore, when installing the reducer and motor, we must find the correct and leveling to ensure that they are concentric.